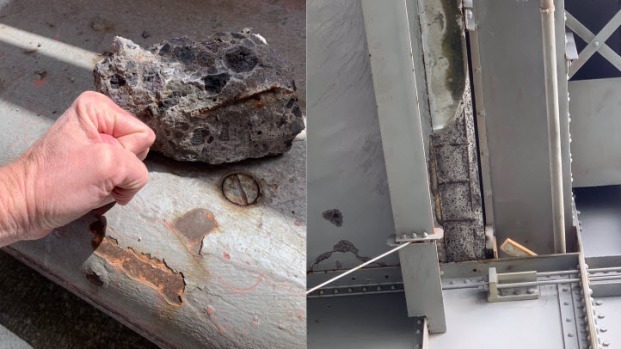 Another falling concrete scare on the Richmond-San Rafael Bridge Friday is renewing calls to replace the crumbling span. Jean Elle reports. More fallen concrete shut down a portion of the Richmond-San Rafael Bridge Friday afternoon, according to the California Highway Patrol. The CHP said two eastbound lanes were shut down on the bridge. The lanes reopened before 4 p.m.
"Minor spalling occurred on the upper deck of the Richmond-San Rafael Bridge this afternoon. Both lanes remain open on the upper deck and all lanes are now open on the lower deck while Caltrans crews perform inspections. The bridge remains safe and open to the public. Caltrans will provide additional information as available." More fallen concrete shut down a portion of the Richmond-San Rafael Bridge Friday afternoon, according to the California Highway Patrol. Jodi Hernandez reports. 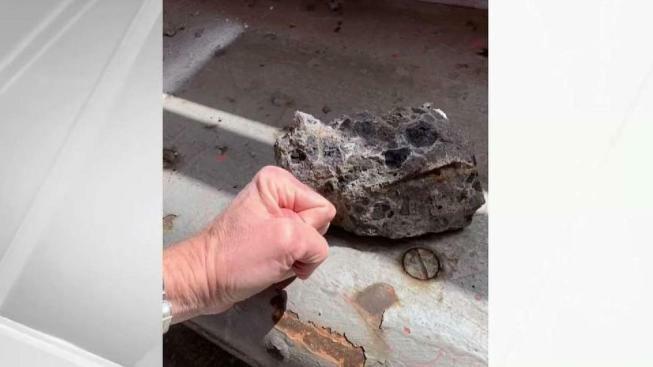 Friday's incident comes after concrete debris fell from the upper deck of the bridge in February, prompting an hours-long closure and sparking a traffic nightmare throughout the region. The Richmond-San Rafael Bridge has been problematic for years, an NBC Bay Area investigation revealed. View the investigation here.